That was quite a grand building. Do you know what sort of facilities the Conservatory moved into on Alston? And then I guess it closed sometime after moving? 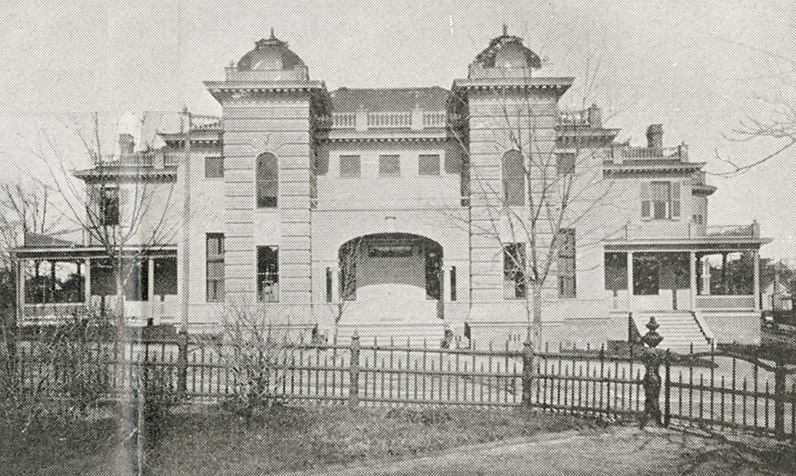 This was their facility on Alston in 1923. I haven't spent time to figure out where this was on Alston, and I'm not sure how long it continued to operate. Thanks! Not a bad building, but it must have been a disappointment after that first one. Too sad. That was am amazing building. I wonder if there was much opposition at the time. Opposition to demoliton in Durham? Considering that we're still trying to muster some in 2006, I doubt that there was too much in 1924.
were the balustrades only for decoration or did they have a function like ice/snow retention? I am the oldest living (great granddaughter of GW Bryant) of this line of Bryant's who relocated from Bethal, Vt to open the Southern Conservatory. I have recently retired and relocated to the forest reaches of New England (Caribou, Maine). Before I left Durham, I left the Conservatory legacy of pictures and documents in the hands of my youngest sister. If I can ever be of assistance, please do not hesitate to contact me. Some more history of this building was posted on the blog of the Rubenstein Library at Duke in June 2017: http://blogs.library.duke.edu/rubenstein/2017/06/02/polonaisesandmazurkas/ The library holds the papers of the director of the conservatory, GW Bryant, mentioned in the previous comment. CJMEDLIN, I expect the library would be interested in hearing from you about the pictures and documents your sister has! See http://library.duke.edu/rubenstein/about/contact for contact info. 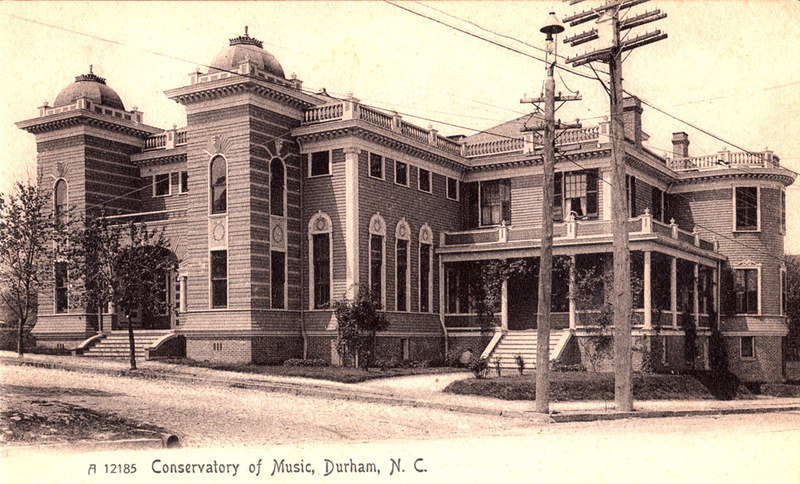 The Southern Conservatory of Music was built in 1898 on the southwest corner of Duke and West Main Streets. 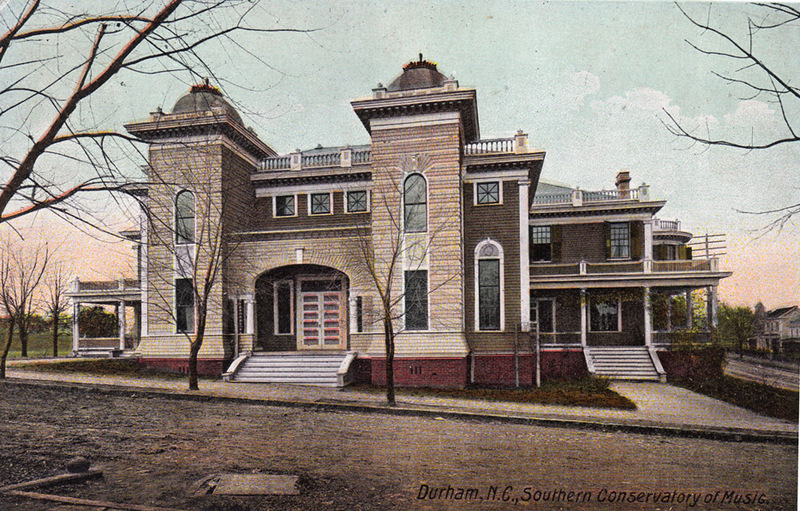 Per the great-granddaughter of the founder, Gilmore Ward Bryant, Washington Duke invited 'GW' to Durham to "bring more culture" to the city and financed the construction of the conservatory across Duke St. from his house, Fairview. Architects Hook and Sawyer of Charlotte, who also designed the Academy of Music and Fire Station #2 designed the elaborate Italianate structure. GW and his wife composed music, poetry and taught the students (exclusively young women) voice, piano, violin, cello, and harp. The main entrance on Duke St., taken from the yard of 'Fairview', looking west. A view from the west sidewalk on Duke Street, looking north. 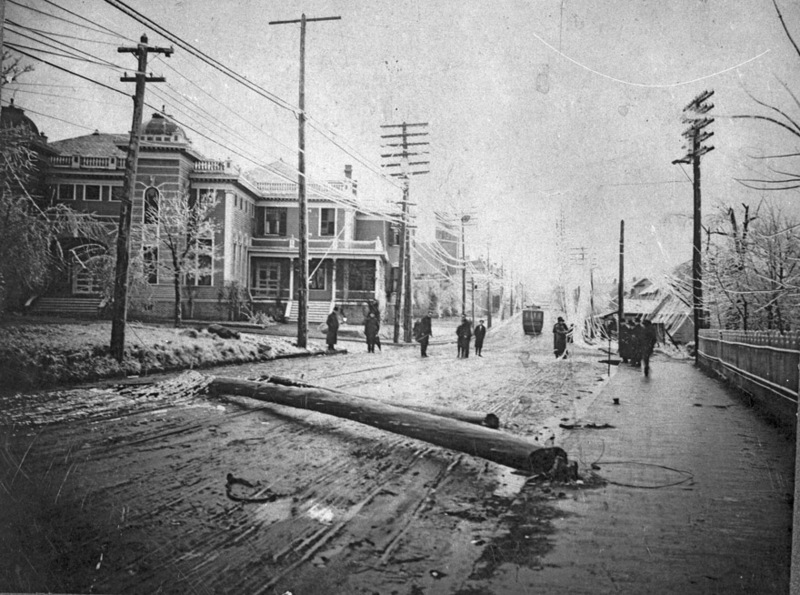 During an ice storm, looking southwest from West Main, ~1910. A view of the interior of the building, 1902. This postcard is likely from the 1910s or 1920s. The trees are more mature, and it appears that the balustrades have been removed from the building. 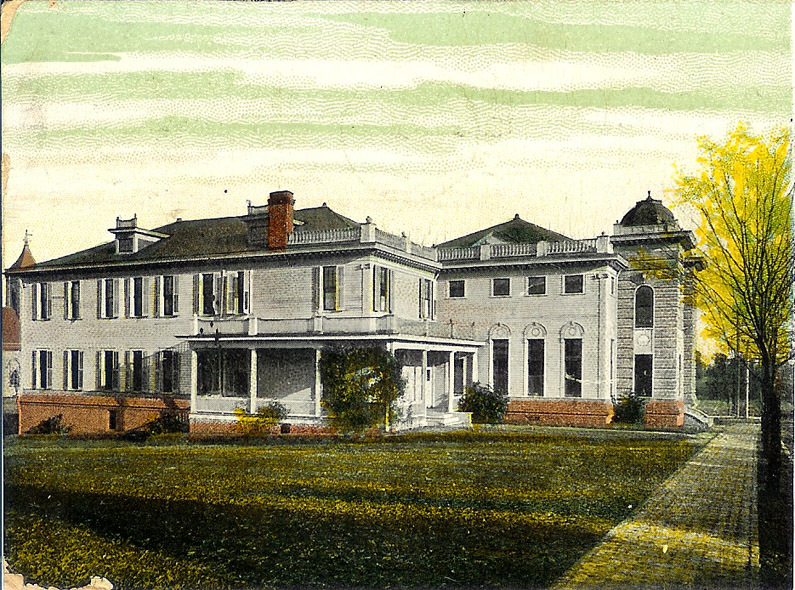 In 1924, the Conservatory moved way out in the country, to South Alston Avenue near Riddle Road. Bryant moved his family to a house across from the new conservatory. It appears that the original Conservatory was torn down soon thereafter. A Texaco Station and the "Lewis' Cafe" were built on this site in subsequent decades. Site of the conservatory, looking southeast towards the New Cigarette Factory, 1952, showing the Texaco Station and a corner of the Lewis Cafe. Looking southwest during the 1953 Durham Centennial parade. These were then torn down ~1982 to become the parking lot for Brightleaf Square.